In NGCX’s latest Benchmark Report, decision makers at the top of their customer experience organization shared their projections for the year to come—specifically, how they’re planning to reach Millennial customers. Analyzing the results, it’s clear that most are choosing to invest in different forms of technology to reach the soon-to-be largest generation in the workforce. 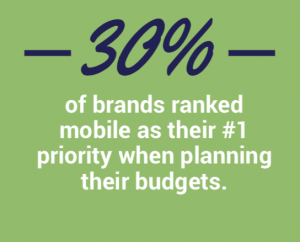 30% of those polled ranked mobile as their #1 priority for their budget plans this year, and 21% ranked social media at the top. This is a natural move, as Millennials are the most mobile-empowered and social-connected generation in history (though Generation Z may very well top them). 24% named social as their #2 priority as well, so clearly it is a channel that is delivering on investment for reaching and influencing Millennial buyers. It’s yet to be seen which specific social platforms are carrying the weight of this investment—whether it’s newer channels like Twitch and Snapchat, or the still reliable Facebook, LinkedIn, Twitter, and Instagram. Also, it would be interesting to break down how this budget is being spent—is the majority going towards creating content for each platform, or distributing messages via paid advertising on each? 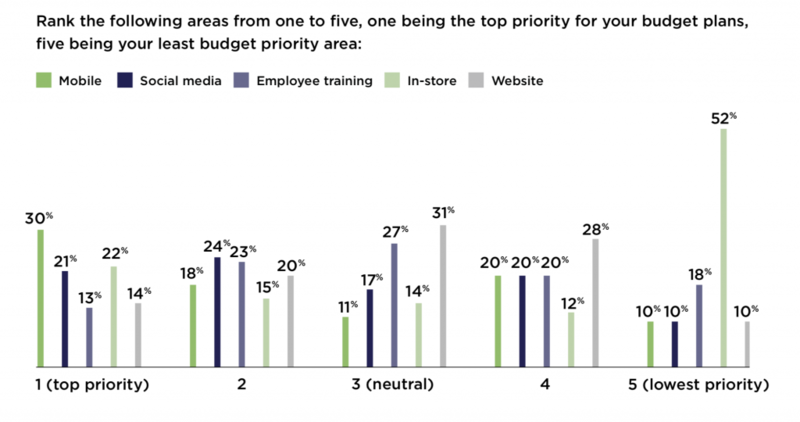 Interestingly, 22% put down their in-store experience as their #1 priority, but 52% also named it as their lowest priority. What might be causing this discrepancy? Is it based on industry or business model—perhaps half of the respondents don’t have physical storefronts—or does this denote a split in strategy, with almost a quarter of organization prioritizing the physical retail experience while others are looking to bolster their digital presence first. 14% did note that their in-store experiences were not effective at all, so that is definitely contributing to the high number of respondents who aren’t making it a priority. The majority of CX experts are targeting Millennials, but only a third are making it a top priority. If you can figure out how to effectively target Millennials across channels, you’ll have a distinct advantage. 34% of the organizations that responded to the survey are not or cannot target and prioritize their experience for Millennials—whether that’s due to the nature of their business, or the limitation of their platforms, it might well hold them back as Millennial purchasing power increases. If you can understand the full history of every customer within your experience management platform, then you can tailor your interactions and service based on any persona—whether they’re Millennials, VIPs, first-time users, or any other segment you want to reach—so that you can become more relevant and increase their lifetime value. This should be a priority for every business, no matter the audience. To learn more about the latest trends in the CX space, download the full benchmark report.